For slightly more demanding audio applications where small, compact mixers don't have enough input options, the Alto Live 1202 is a great ch..
For slightly more demanding audio applications where small, compact mixers don't have enough input options, the Alto Live 1202 is a great choice. The Alto Live Series mixers are united by their modern look, low-profile design, DNA preamps, extensive EQ, built-in compression, Alesis DSP effects, and USB audio/connectivity. Microphone inputs (XLR) are equipped with DNA preamps. Switchable phantom power allows the Live 1202 to be used with studio condenser microphones, aswell as dynamic and wireless microphone systems. Select mic channels offer analogue dynamic compression, each with individual control. Each channel features its own 3-band EQ and there is a 9-band graphic EQ that can be applied to the main or monitor mix. The clear layout makes it intuitive and easy to operate, even for solo performers or beginners. 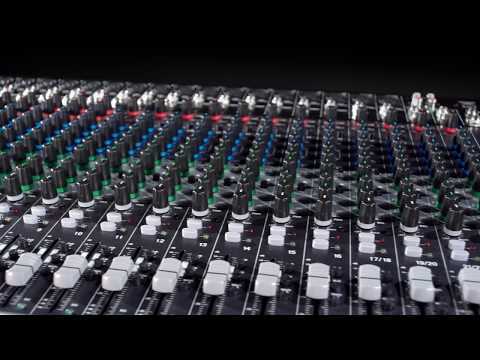 Mixing desks can often be daunting to the first time user, but the Live 1202 is easy to read and understand. You'll have your PA up and running in no time. The Alesis DSP section provides 16 premium effects. Each offers 16 variations, for a total of 256 ready-to-use effects. Covering a range of reverbs, delays, and other modulation and ambient effects, the Live 1202 is ideal for mixing in a studio environment or adding atmosphere to your next live show.